Bilingual Fun » Blog Archive Celebrete Hispanic Heritage Month with Hot New Music! Bilingual Fun Company Featured on Good Morning America. Read about our founder in the October 2006 issue of REDBOOK magazine. Celebrate Hispanic Heritage Month with Hot New Music! Hot New Bilingual and Spanish Music for Kids! I have always been a huge proponent of incorporating music into the Bilingual Fun language learning experience. Singing and listening to music is a great way to absorb and retain the language. So, I am always on the lookout for fun, new music to engage my students and for my own enjoyment! Guess what? I am so excited to share these new albums with you and I have 3 CDs to giveaway for FREE! 3 lucky winners will each receive 1 CD ( chosen randomly). These will be great additions to your music library and your kids will LOVE them! To win, please visit each of their sites and check them out. Let me know what you think on the Bilingual Fun Facebook comments and I will choose 3 winners by October 4, 2015. Music, composer and editor Jose Luis Orozco is one of my favorites! I absolutely love his new album ¡Come Bien! Eat Right! This is his sixteenth, and first through Smithsonian Folkways, which is a delightful and engaging bilingual album that offers a fun- filled approach to health eating. 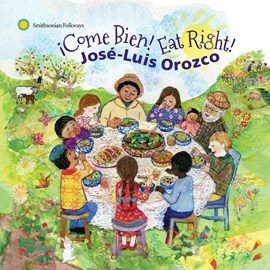 I love Orozco’s music, because they are wonderful teaching songs, easy to sing, great for pronunciation and listening comprehension, and always fun and catchy to listen to! The kids love them too! On his new album, Orozco teamed up with friend and Mexican-American music icon the Grammy winning Quetzal Flores. I am looking forward to incorporating these songs into our Spanish classes this fall! Wow! 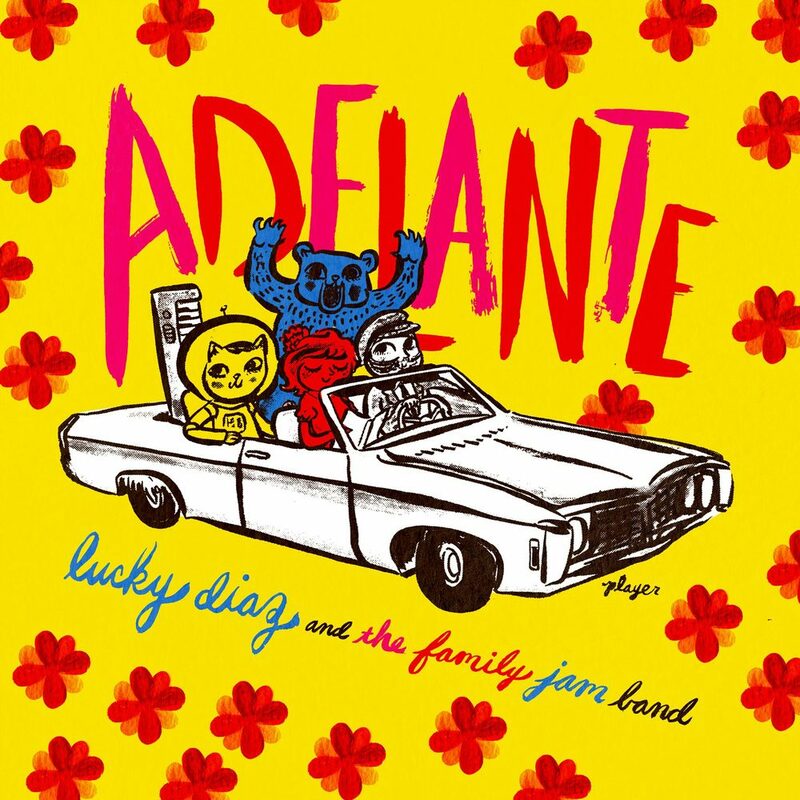 This collection of bilingual songs for all ages by Lucky Diaz and the Family Jam Band will get you up dancing and singing in no time! 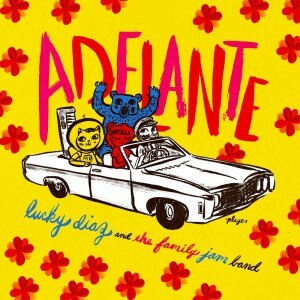 The Latin Grammy Award winning family band has incredible songs on this new collection. I absolutely love the “Taco Song” and “Guacamole Boy” with their fun, refreshing rhythms, style, and lyrics! The songs have easy alternations between English and Spanish, and are broadly educational, as well as super fun to dance to. I love teaching with movement and music, and ADELANTE is quickly becoming a class favorite with my students of all ages! 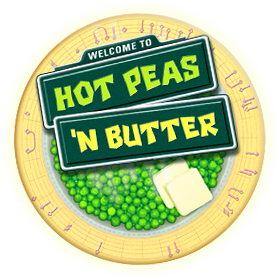 Hot Peas and Butter, s NYC based multicultural family music band, is known for their Latin-influenced, catchy songs for kids. Put Our Heads Together is the 7th studio album from this impressive band. They come together with Dan Zanes for the single Amistad, which is a fun, bilingual song about friends. Colores is another fantastic song on this album and a great addition for kids learning and practicing color vocabulary. I love the sound and rhythms on this album, as Hot Peas and Butter use a range of hip-hop, world pop, reggeaton, and dance hall to create catchy rhythms for kids and their parents to share together. I was thrilled to be introduced to Hot Peas and Butter, and my students were too! This giveaway is in no way sponsored by Facebook. I received free samples of all albums for my personal review, and all opinions are my own. Posted by on Sep 27th, 2015	and is filed under Uncategorized. Copyright © 2006-2011 The Bilingual Fun Company. All Rights Reserved.